Shortening is any type of solid fat used to prevent the formation of a gluten matrix in baked goods, allowing for the creation of non-elastic pastries like cakes. Lard, hydrogenated (solidified) oils, and even butter can be used as shortening. Usually, shortening refers to hydrogenated oils used widely in the early 20th century. Vegetable shortenings, or hydrogenated vegetable oils, are extremely shelf-stable and require no refrigeration, have a higher smoke-point than butter, and are less expensive than both butter and lard. Shortening often contains less water than margarine or butter, making it safer for frying as this oil is less likely to splash and pop on the stove. Additionally, high-ration shortenings (with higher percentages of monoglycerides) blend better with hydrophilic ingredients like starches and sugars. Like its noun form, the verb "shortening" refers to the process of a fat interfering with gluten formation in a dough. This process is important for many baked goods, such as pie crusts, because gluten creates a gummy or chewy end product. When fat is worked into dry flour, the fat creates a barrier between gluten molecules, thus preventing them from cross-linking once a liquid is added. Shortening is also used in baked goods to keep them soft after baking. 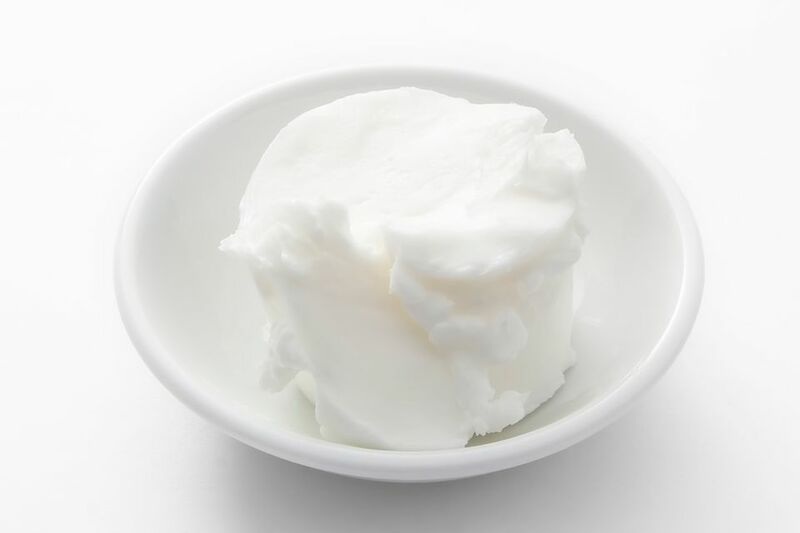 Unlike butter, which separates into oil and milk solids upon melting, shortening remains intact and reverts back to its soft, semi-solid state upon cooling. For this reason, cookies and other baked goods made with shortening tend to be soft, while those made with butter have a crispier texture. To produce a crumbly or mealy texture in your dough, cut the shortening into the flour with a pastry blender until its texture resembles that of cornmeal. To create a shortening effect, a solid fat is “cut” into flour or a dry flour mixture, which can be accomplished with a pastry cutter, two knives, food processor, or even your hands. Next, the fat is repeatedly cut into smaller pieces and coated in flour, but keep in mind that the final size of the fat pieces will determine the final texture of the baked good. ​Pea-sized fat pieces tend to create a flaky product, such as a pie crust or croissant, while a texture that resembles coarse sand will create crumbly mixtures like streusel. Vegetable shortening's high smoke point allows food to be cooked quickly at high temperatures without burning the oil, which causes an unpleasant flavor. The low moisture level reduces splatter, delays rancidity, and increases the stability of the fat, allowing it to be used repeatedly with less degradation. Vegetable shortening has a neutral flavor, unlike butter or lard, and can be used for applications where strong fat flavors are not desired. However, some vegetable shortenings have artificial butter flavor added to them and are used as an inexpensive replacement for butter, so be sure to be careful when selecting your shortening if you want to avoid that buttery taste. Past iterations of shortening earned a reputation for being high in trans-fatty acids. But most shortening manufacturers have reformulated their products to reduce trans fats.